The laser-plasma experiments, conducted at the Department of Energy's Lawrence Berkeley National Laboratory (Berkeley Lab), are pushing toward more compact and affordable types of particle acceleration to power exotic, high-energy machines—like X-ray free-electron lasers and particle colliders—that could enable researchers to see more clearly at the scale of molecules, atoms, and even subatomic particles. 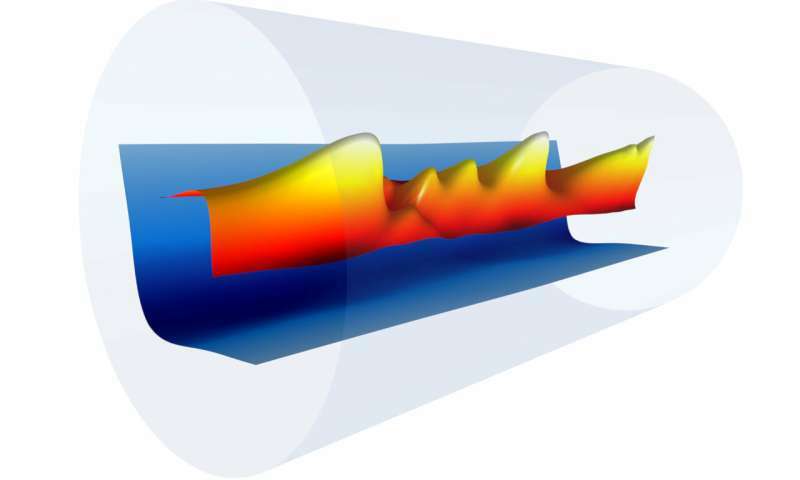 Each intense driver laser pulse delivered a heavy "kick" that stirred up a wave inside a plasma—a gas that has been heated enough to create charged particles, including electrons. 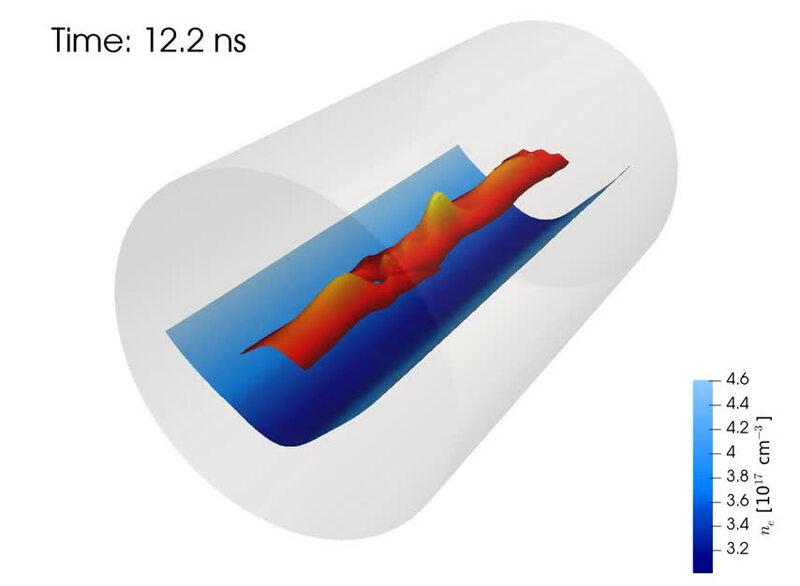 Electrons rode the crest of the plasma wave, like a surfer riding an ocean wave, to reach record-breaking energies within a 20-centimeter-long sapphire tube. 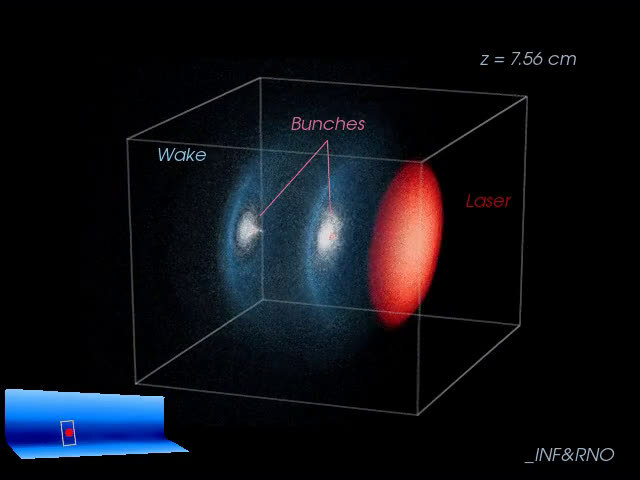 In the 2014 experiment, an electrical discharge was used to create the plasma channel, but to go to higher energies the researchers needed the plasma's density profile to be deeper—so it is less dense in the middle of the channel. In previous attempts the laser lost its tight focus and damaged the sapphire tube. Gonsalves noted that even the weaker areas of the laser beam's focus—its so-called "wings—were strong enough to destroy the sapphire structure with the previous technique. Both the 2004 team and the team involved in the latest effort were led by former ATAP and BELLA Center Director Wim Leemans, who is now at the DESY laboratory in Germany. The researchers realized that combining the two methods—and putting a heater beam down the center of the capillary—further deepens and narrows the plasma channel. This provided a path forward to achieving higher-energy beams. "These codes helped us to see quickly what makes the biggest difference—what are the things that allow you to achieve guiding and acceleration," said Carlo Benedetti, the lead developer of INF&RNO. Once the codes were shown to agree with the experimental data, it became easier to interpret the experiments, he noted. It sounds like eventually, we might have entire working machines created in plasma, of plasma that last for fractions of a second before the whole thing unleashes gamma rays in whatever direction we choose.